When you come to Hawaii, you probably imagine spending the lion’s share of your days in your bathing suit, going from one ocean activity to another. But, there may be days (or at least, hours) when a land activity sounds like just what the doctor ordered. After all, variety is the spice of life, right?! Horseback Riding: Much of Maui was built for Horseback riding. From the high rolling hills of Upcountry, to the rugged volcanic coastline trails of Makena, Maui offers unparalleled horseback experience along with unlimited views of the islands natural beauty. If tapping-into your inner-paniolo (Hawaiian cowboy) sounds like fun, book a Maui Horseback Riding Tour and let a professional take care of the details. You can even choose between a morning or afternoon ride, so your ride can fit into your busy schedule. 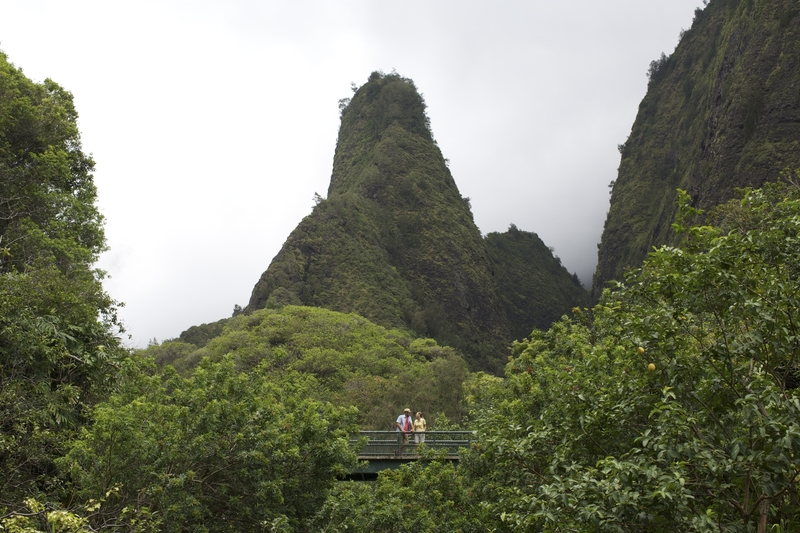 Iao Needle is always a crowd favorite, due to its lush mountains and valleys, plus the site's history. Hiking on Maui: Maui’s extensive hiking trail system is one of the best ways to experience the beauty of the Magic Isle. If you’re looking for an easy hike, try Iao Valley State Park, Twin Falls, or Makahiku Falls/Oheo Gulch. If you’re looking for more of a challenge, try the Pipiwai Trail to 400-foot Waimoku Falls in the lush Kipahulu section of Haleakala National Park. Or, you can hike atop the scenic summit of Haleakala, Maui’s highest peak. Take the Halemauu Trail or the Keeneheehee (sliding sands) trail down from the crater and see volcanic landscapes, mountainous wilderness and rare endemic plants like the ahinahina (silversword). Visit the Haleakala Visitor’s Center for more information on guided and self-guided hikes. Or let Hawaii Aloha Travel take care of the planning for you. Book a Maui Hiking Tour and experience some of the most pristine and extraordinary hikes on the Valley Isle. 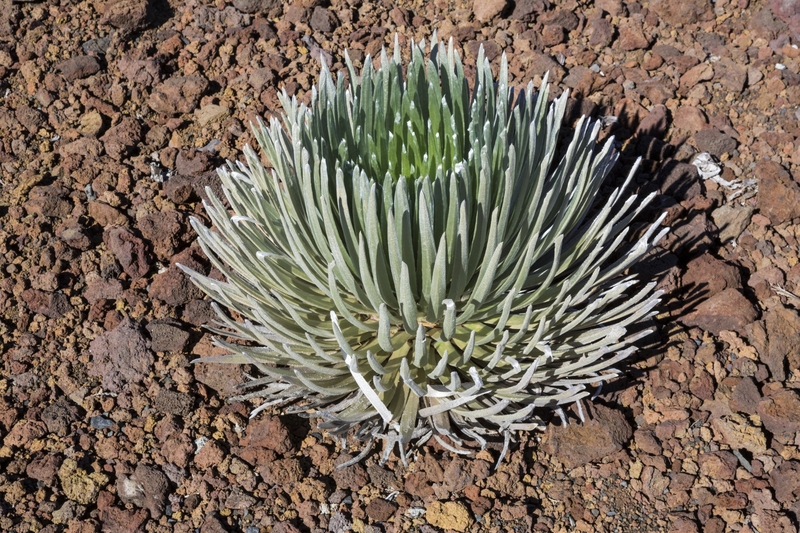 A silversword atop Haleakala on Maui. If you enjoy looking at natural wonders, you can find amazing animals and plants that have adapted to life atop Haleakala. 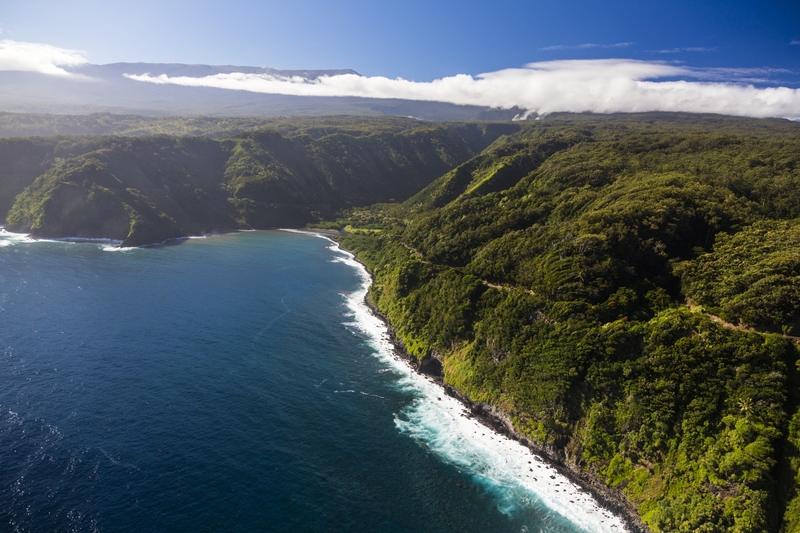 Road to Hana Tours: There’s simply no place on Earth like the road to Hana. If you’re ready for a monster road-trip with the most amazing scenery along the way, this is the tour for you. Take a Road to Hana Tour, and you can enjoy a narrated trip as you zigzag past one-lane bridges, black sand beaches, and breath taking waterfalls. The road to Hana is a winding, beautiful, scenic road that many visitors take when they want a day's worth of Maui beauty! Go Ziplining Through Maui: What better way to see Maui scenery than from the sky! Try the Piiholo Zipline for an extreme adventure, but make sure you book through Hawaii Aloha Travel to get the maximum discount. With an elevation of 2,000 feet, you’ll witness bi-coastal views of the Pacific, eucalyptus forests, rainforests, and deep valleys. Piiholo Zipline offers the only side-by-side zipline course on any of the Hawaiian Islands, allowing guests to partner zip above the beautiful scenery. Segway Maui: Let’s say there’s a lot of ground you want to cover, but hiking on foot doesn’t seem too tempting. Try a segway tour! Segways are an eco-friendly way to see some of the Maui landmarks and sights, without breaking (too much of) a sweat. Tours range from 30 minutes to 3 hours. Alii Kula Lavender Farm: AKL’s 13.5-acre farm resides at an elevation of roughly 4000 ft. and is home to approximately 55,000 lavender plants and 45 different varieties of lavender. Olive trees, hydrangea, Protea, succulents and an exceptional variety of other plants can be found on the farm, which offers the first and only Lavender Lifestyle experience on Maui. The site offers tours and has a gift shop. It even hosts big events like weddings! 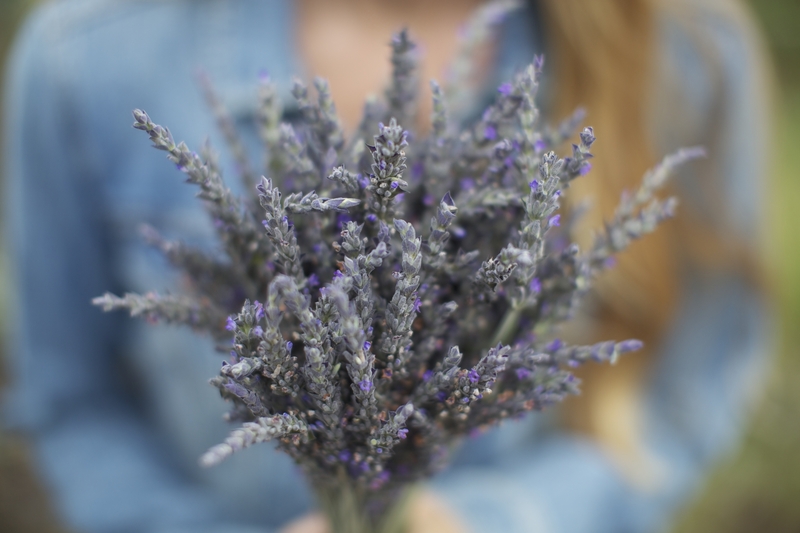 At the Alii Kula Lavender Farm, you can take a tour of the amazing farms and enjoy the fresh scent of lavender. Sure, it may be tempting to ONLY consider ocean activities during your vacation on Maui, but it would be a real shame to neglect some of the best land activities on Maui in Hawaii. So, take a look at our “menu” of land activities, and hang your bathing suit out to dry!